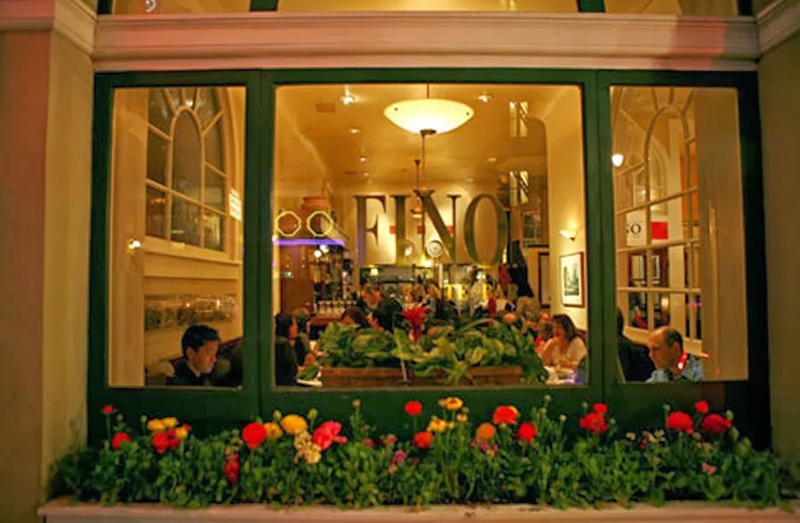 Fino is not only an unforgettable dining experience in San Francisco it's also one of the most authentic and accommodating restaurants I've ate at in a long time. Jay first discovered this place when he took his son out to California for the first time a few years ago. (So we will give him the credit) They stayed downtown in the business district and chose the best sounding place on Trip Advisor without a reservation (at the time it was #1 now is #22 so you can't always judge a restaurant based solely on reviews.) I will add that sometimes Trip Advisor does disappoint us from time to time but we have been far from disappointed with Fino. 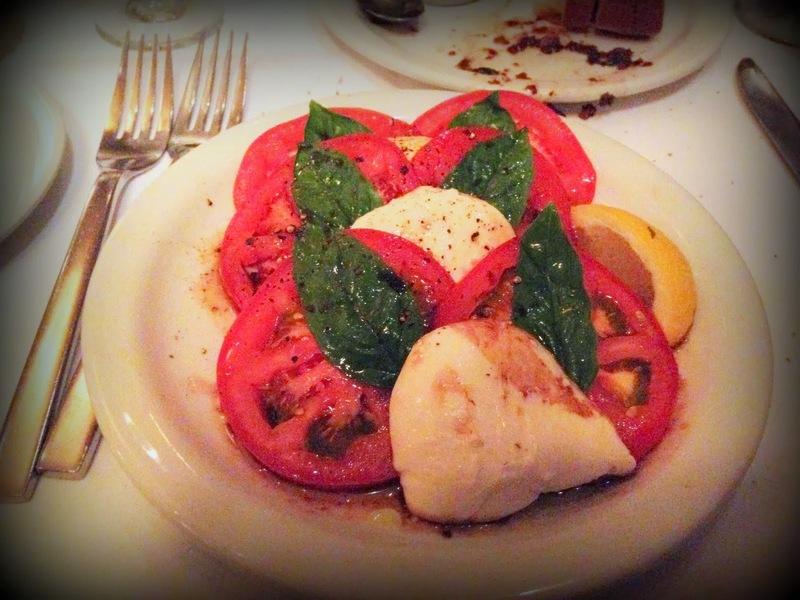 It has since turned into a tradition for us every time we go to San Fran we always stop here for dinner. One of the more personal things that I enjoy is that they have a veteran staff. You just can't beat a little old world restaurant that recognizes their every few month regulars. That's just something I think is hard to find these days especially in a large city like San Francisco. It warms my heart when I step into the lobby of the St. Andrews Hotel. You'll see the mahogany wood bar and can request for a table near the fire place. I haven't really had any of their cocktails but from working in an Italian restaurant in my past life I do know that an Italian Margarita is amazing. For the wine- Santa Margherita Pinto Grigo is by far one of my favorite Pinot Grigo's you could ever drink. The nice thing about this is that it is a half bottle so if your having fish and your spouse or friend is having beef you will be fine with the half bottle on your own. It equals enough for 2 restaurant poured wine glasses. Sonoma Cutrer Chardonnay is also available in the half bottle- It is a decent Chardonnay but my personal taste would be the William Hill Chardonnay offered as the by the glass option and it's cheaper. As far as the red wines go I would recommend drinking a Chianti. Your best options are either going to be the half bottle of Banfi (one of my personal go to Chianti choices) or Gabbiano Classico on the lower end price range. As far as the menu goes I like to stick with the fresh pasta section. If I can't decide one one dish they will do a half portion of 2 dishes for me like you see below. Ok, I might feel a little bit like a fat kid when I have 2 pasta dishes in front of myself you know? Just have to get past that part and remember you are at an Italian restaurant and if you aren't going to eat big you should just go home. 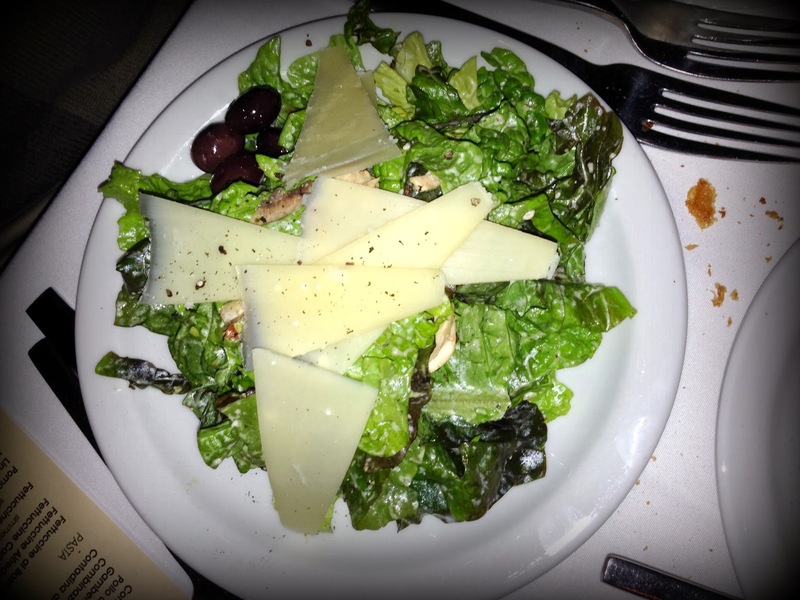 Salads can easily be split between 2 people regardless what your server says. 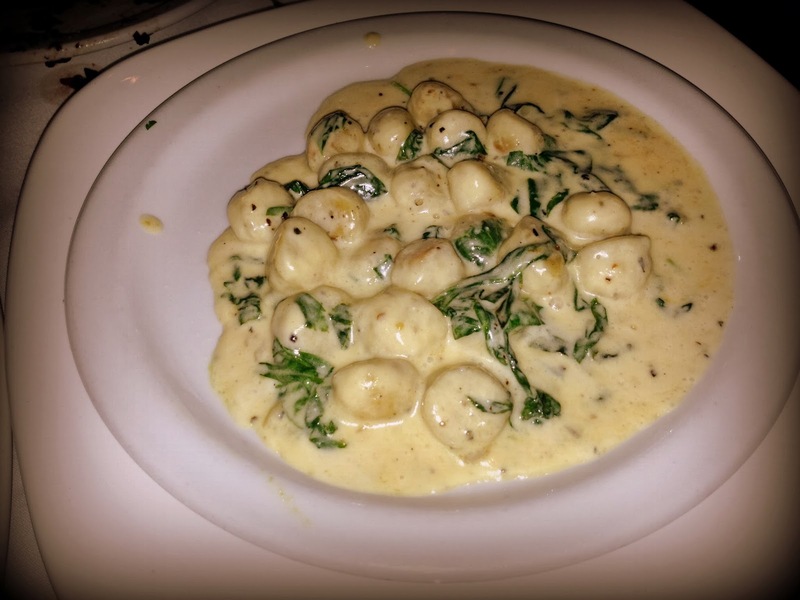 Instead of "Okie Dokie" your server may say "Gnocci Dokie" I thought maybe he just was slurring his words until he said it again. Very clever. 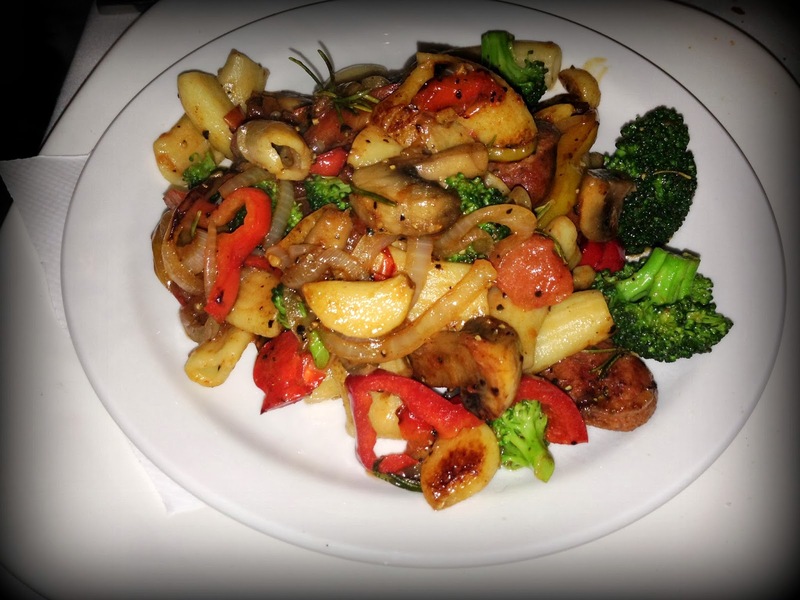 Always ask for specials of the evening and prepare yourself for a hearty old world dinner of a lifetime! Another cool fact is that Michelle Obama and her crew had dinner there! You know if the first lady of the United States and the first lady of Jay Gates approves then it must be good!